Grab – to grip the attention; to enthrall. One sure way to grab the beagle’s attention is to hand out some cuddles. He loves his treats too, but cuddles work as well. Word for tomorrow – AFTER. If you prefer to work ahead, see the list for the week under “A Word A Day”. Love the photo! Eye-to-eye communication is the best. ha, ha. 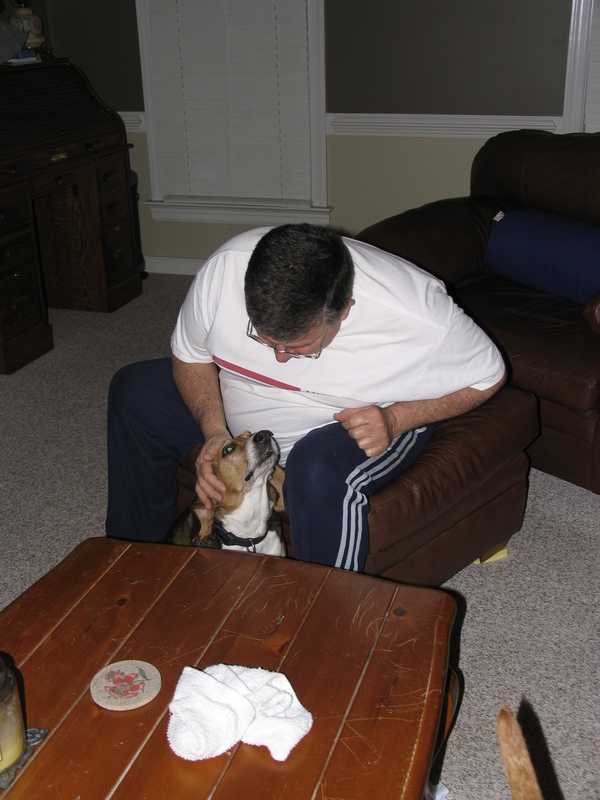 The beagle sure was enjoying the attention from his daddy!